Travellers to Saudi Arabia certainly have plenty of high-class accommodation options to choose from. Both local and international hotel groups have launched branches in the country in recent years, looking to take advantage of the growing number of tourists flocking to the kingdom’s major cities. Riyadh, the Saudi capital, has a number of luxury hotel offerings, but even so, the Ritz-Carlton stands out from the crowd. With its 52 acres of landscaped gardens, 62,000sq ft of event space and an assortment of dining options that are capable of standing alongside some of the very best restaurants in the world, the hotel attracts visitors from across the globe. At the Ritz-Carlton, Riyadh, we make sure that our food and beverage offerings are in a constant state of reinvention. Our dishes, drinks and even methods of preparation are always evolving to adapt to the market and pioneer new trends. We also possess the most innovative and sophisticated beverage programme in the kingdom. We use both creative and scientific approaches when producing our signature non-alcoholic drinks, and currently offer more than 75 options, combining a variety of tastes and flavours. All ingredients are made in our own mixology lab, focusing on local products. Looking at hot drinks, the Ritz-Carlton takes coffee-making very seriously – in fact, we see it as an art. We start by carefully selecting the coffee beans, which are specially roasted for us by a local roasting house. Then we use four different brewing methods to add scents and flavours to our coffee. We aim to be a unique beverage destination in the kingdom. Innovation, quality and adaptability are what make food and drink stand out at the Ritz-Carlton, Riyadh. We are proud to say that two of our restaurants are ranked number one in their respective cuisines on TripAdvisor. In addition, our restaurants have garnered a number of awards over the years. So far, we have received great feedback on our food and beverage options. As the kingdom’s hub for major countrywide events, having the highest standard of food and beverage offerings is extremely important. It is one of the reasons why guests keep returning to the Ritz-Carlton. The Saudi Vision 2030 initiative aims to develop and diversify the country’s economy; the Ritz-Carlton, Riyadh supports this programme in a multitude of ways. First, we aim to be the hub of all major countrywide conferences, such as the Future Investment Initiative. By continually enhancing the services we offer to major events and delivering the highest-quality amenities, we can help grow this part of the kingdom’s economy. Second, we focus on localising the hospitality industry by coaching and training talented young Saudis in different areas and departments so they may lead the hotel in the near future. Third, we support female empowerment and believe that women should play a crucial role in diversifying and enriching the hotel’s services. Another way that Saudi Arabia is moving away from its historical oil dependency is by becoming a popular MICE destination. The Ritz-Carlton, Riyadh makes an ideal conference venue and boasts a friendly and professionally trained team that is experienced in hosting major exhibitions and events. The Ritz-Carlton’s spacious landscape is truly unique and offers a number of meeting rooms, two grand ballrooms and many categories of guest room to accommodate a variety of visitors. Its distinctive location away from the traffic of Riyadh’s downtown area is another major selling point. The hotel has four different restaurants, a cigar lounge and an in-room dining menu. 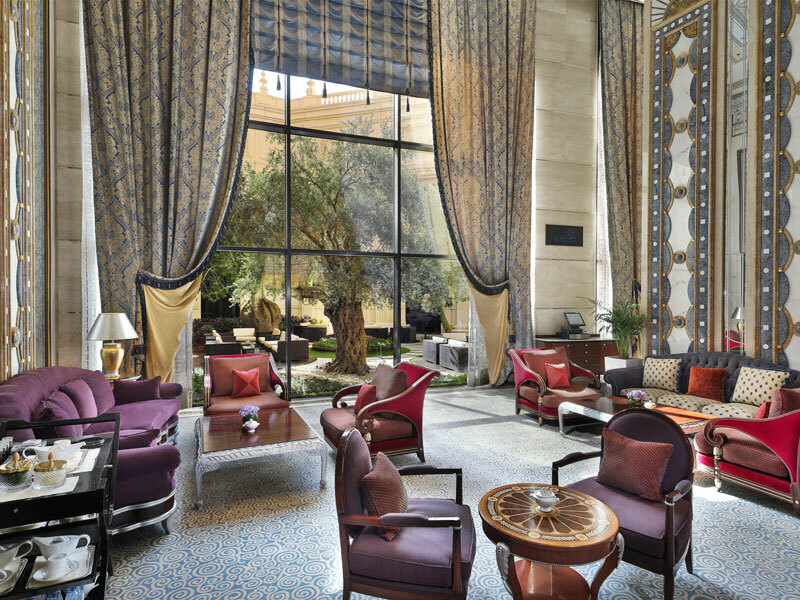 For conference guests or travellers simply looking to enjoy the sights of one of Saudi Arabia’s most vibrant cities, the Ritz-Carlton, Riyadh has plenty to offer.